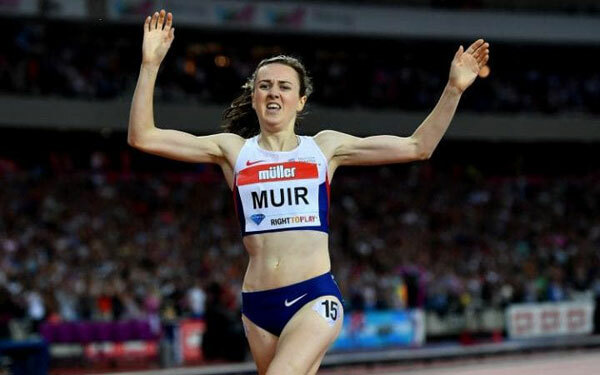 Laura Muir sets new European 3,000m indoor record in Karlsruhe, Germany. The Scot, 23, built on her current form by taking 1.45 seconds off Russian Liliya Shobukhova’s record, with a time of eight minutes 26.41 seconds, fifth on the world-best list. 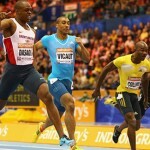 Muir is preparing for next month’s European Indoor Championships. England’s Andrew Pozzi won the 60m hurdles in Germany in 7.44 seconds – the fastest time in the world this year and-third fastest in British history. Pozzi ran a personal best of 7.49 in the heats before bettering that mark as he finished 0.14secs outside Colin Jackson’s British record in the final. 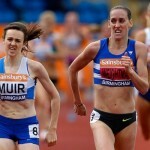 Muir broke the British indoor 5,000m indoor record in Glasgow last month, and took Kelly Holmes’ British 1500m record outdoors last July. 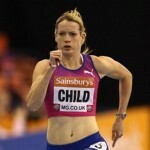 She then beat her own 1500m mark in Paris on her way to winning last year’s Diamond League title. As well as the European Indoor Championships in Belgrade in early March, she is also targeting a medal at the World Championships in London in August, after finishing seventh in last year’s 1500m Olympic final in Rio.